Automatic generation of news agenda according to the correlation in contents, announced events. Monitor announced coverages in our agenda with pictures used by clients to optimize our efforts in the Newsroom and move to a data driven publishing strategy. 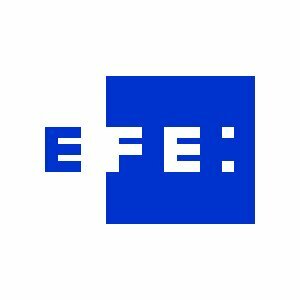 Agencia Efe SAU. The leading Spanish language news agency and the fourth largest news agency in the world, with more than seventy years of experience guarantees its impartiality, its power, its credibility and its immediacy. In the early days, the media decided which topics were relevant to the consumers. Nowadays social networks, search algorithms and citizen journalism play an important influence in which topics are more relevant than others. This proves a gap that exists between the content distributed by news sources, the content used by the media, what is relevant for the “new media” and what people really cares about. The challenge is intended to create tools and reports generation showing correlation between scheduled events (those provided by us as a News Agency) and the topics currently used by the media (our traditional customers) and those that are commented or disseminated by consumers as the last step of the chain of production. The challenge proposes to utilise EFE datasets provided in combination with the datasets coming from RSS sources and Social Networks. An increase of 15% in that correlation of published vs used content by media. An increase of 5% in published vs “interest measure” in final users.